die erwartungen waren gross, doch sie würden mehr als erfüllt. riese scheibe des r&b-künstlers, der sich wenige tage vor release geoutet hatte. musikalisch riesig. eines der grössten werke des jahres. As a big fan of The Weeknd, I find this to be somewhat familiar territory. 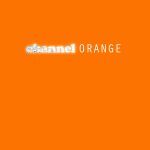 If I could think of a key difference, it's that on Channel Orange, Frank explores a far more diverse palette. The production provides a wide variety of styles with melodies held together by Frank's ever so smooth vocal talents. This lives up to the hype and is deserving of all the accolades. not more than ok for me. Wenn man bedenkt, dass dies nicht meine Musikrichtung ist, so ist meine Wertung fast schon sensationell.<br>Das liegt weniger an den Songs, viele würde ich gar nicht als "Songs" bezeichnen. Sondenr vielmehr an Franks toller stimme, die mich des öfteren an den guten alten Lenny Kravitz erinnert und da sind wir wieder bei meinem Musikgeschmack. Boy has this record received the instant-canonisation albums rarely receive, and there's definitely a good reason for songs as simultaneously innovative and emotionally captivating as Pyramids, Sweet Life, and Bad Religion. I don't love it quite as much as others are, but it's a welcome addition to a new movement of stunning innovation in R&B music. Stunning album. Diverse, emotional and beautiful. Frank Ocean is talented.